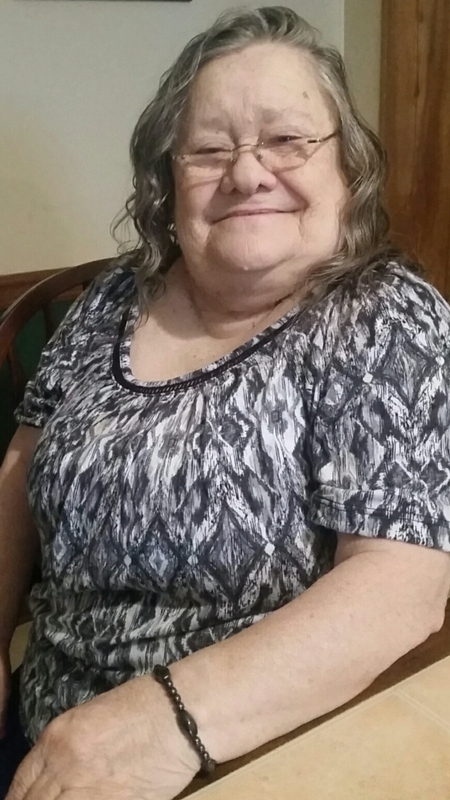 Nancy Townsend Hammock, age 78, of Keysville, VA went to be with her Lord and Savior Tuesday, May 22, 2018. She is survived by her husband, of 59 years, Charles M. Hammock; three children, Robin Sullard (Jeff), Chuck Hammock (Esther), Wendy Boyles (Mike); five grandchildren, Chris, Kaitlin, Amber, Allison and Kinsley; three great-grandchildren, Meadow, Devyn and Maya Jo. Nancy is preceded in death by her parents, Crawley and Janie Townsend; and a brother, C.B. Townsend, Jr.
A memorial service will be held at 11 a.m. Saturday, May 26, 2018 in the Meherrin Baptist Church, with a reception to follow in the fellowship hall. The family will receive friends at the Browning-Duffer Funeral Home from 7 to 8:30 p.m. Friday, May 25, 2018. The family wishes to give a special thanks to the Barksdale Foundation, Appomattox Health and Rehabilitation Center, Hospice, and UVA Hospital. Donations may be made to the Barksdale Foundation or the Meherrin Baptist Church. The Browning-Duffer Funeral Home in Keysville, VA is serving the family. I can’t believe your gone you were a major part of my life, my children’s lives, for so long ! You touched the hearts of many and there probably isn’t a baby in Keysville you didn’t hold at some point. One could only wish to be as great a person as you were. I’m flooded with so many memories of you and I will cherish each and every one of them. I love you so much Thelma my partner in mischief ! Thank you for my friend in your daughter wendy she has a heart just like yours. I miss you already and our friendship is golden to me ! You leave behind a legacy of smiles when one thinks of you and we thank you for all you have ever done for just being you ! I love you always your Louise ! I am so very sorry to hear of Nancy’s passing. My heart aches as I miss her so much already. She was always a bright ray of sunshine, full of smiles and hugs for all. I send my sincerest, heartfelt condolences to the entire family. May God comfort you all in this time of great sorrow. This world may have lost her but heaven sure has gained a beauty! I will love you always Miss Nancy! One of the sweetest ladies that I have known. Praying for all her family. Nancy Hammock was one of the sweetest people I have ever known. She always made my day by saying something that made you feel great. I know she suffered many health battles, but she always focused on how you were doing and not her. I remember her parents fondly as members of Ash Camp, and I know a great reunion is going on in heaven. Thinking of Charles and the rest of Nancy’s family. May the Lord give you strength. Unfortunately I just found out about Nancy’s death. She was such a strong woman. I too have fond memories of her from the days we lived beside her in Keysville. She was a wonderful lady. Oh how this woman touched my heart. She was one of my patients and by far my favorite. I wish i had found out about her passing sooner. I should would have pais my respect. We have done shared some wonderful times. You will truely be missed.